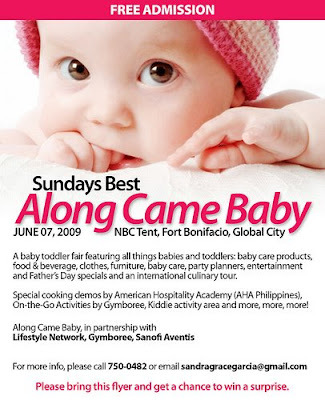 manila fashion observer: Googoo&Gaga at Along Came Baby! Googoo&Gaga at Along Came Baby! If you're having a baby, or you know of parents expecting a wee one, or if you're simply planning to buy a baby/toddler gift for a friend or family member, then visit Googoo&Gaga and stock up on their anti-cute (but irresistibly adorable) onesies and tees at Along Came Baby, NBC Tent on Sunday, June 7 at 9:00am! Mark it on your calendar because Along Came Baby is open for that day only. Take advantage of the chance to see anything and everything about babies and toddlers under one roof - from baby care products to clothes, food, furnishings, even party planning! Hmmm, now that I'll be a mom soon, I see the merits of having a baby/toddler one stop shop all year round, not just for one day! There should be a Babies R' Us or Buy Buy Baby sort of store in Manila soon! Or is there one already?